Confused by HMRC's Making Tax Digital (MTD)? What does Making Tax Digital really mean? How will it affect you? Does MTD mean quarterly reporting? Is my business exempted from Making Tax Digital? Making Tax Digital for income tax: the chancellor confirmed in his Spring Statement that the government will not be mandating MTD for any new taxes or businesses in 2020. It is currently proposed that VAT registered businesses trading above the VAT threshold are mandated into filing VAT returns by using functional compatible software from April 2019. See MVD Tool: who has to join. The MVD pilot continues to roll out, see MVD pilot: who can join? Agents are encouraged to open new Agent Services Account. There is widespread confusion as the accounts don't apparently do anything yet. Plans for Making Tax Digital for Self Assessment are on hold. HMRC commenced sending out MVD letters to VAT registered business encouraging them to take up MVD software and register with MVD. Budget 2018: proposals to introduce a new late interest and late payment points based penalties system for MVD have been postponed. They were omitted from Finance Bill 2019. It is now anticipated that the new system will be postponed until 2021. HMRC announced that it is allowing the following businesses to defer mandation from the requirements of Making VAT Digital (MVD) until 1 October 2019. See Making VAT Digital: New Timetable. The MVD pilot was first opened to certain businesses on 16 October 2018. See MVD when to join the pilot. HMRC published VAT Notice 700/22: Making Tax Digital for VAT. Highlights of the notice include the requirement to use 'functionally compatible software'. From 2020 the use of 'copy and paste' is to be banned! Software must electronically link from other bookkeeping records such as spreadsheets into MTD software. This is to allow HMRC to interrogate the underlying records such as the spreadsheet. Draft Finance Bill 2019 contained proposals for three new tax penalty systems which were dropped following budget 2018. 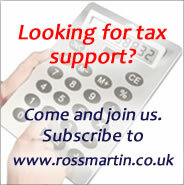 HMRC have said that they will be included in a future finance bill. HMRC also published policy papers and this follows consulations: MTD: sanctions for late submission and payment and consultation, Making Tax Digital: interest harmonisation and sanctions for late payment. Provisions included in draft Finance Bill 2019 for new penalty systems were dropped in November 2018 and are to be included in a future finance bill. HMRC consulted on draft secondary and tertiary MTD legislation together with draft guidance on Making Tax Digital for VAT. Consultation closed in November 2017. Finance (No2) Act 2017 allowed HMRC to introduce MTD via secondary legislation (statutory instrument): the significance is that this form of legislation is not scrutinised by parliament. May 2017: the MTD provisions were cut from the Finance (No 2) Bill 2017 due to the decision to call an early general election. March 2017: draft regulations on MTD to be published during the summer 2017. Andrew Tyrie chair of the House of Common’s Treasury committee wrote to the Administrative Burdens Advisory Boardis concerned that HMRC’s estimate on the cost to Making Tax Digital of £280 is unrealistic. The Federation of Small business estimates that the cost of adding four extra returns will be three times the annual cost for business. HMRC commenced a small scale MTD pilot in April 2017. The House of Lords Finance Bill sub-committee recommended that HMRC put the brakes on MTD for business: it's being rushed, there's little benefit to government and it creates unncessary burdens on small business. In the Spring Budget 2017 it was announced that MTD will be postponed by one year (i.e. to 2019) for those self employed and landlords who have a turnover under the VAT threshold. MP Andrew Tyrie who sits on the Economic Committee of the House of Commons stood up following the budget speech to suggest that 'now that the door is ajar...[on MTD],' that perhaps other changes to HMRC's MTD plans could be now considered. The current MTD timetable, links to consultations, responses, proposed legislation and our guides and summaries. Warning: Update in progress! Comment: our practical and cost effective suggestions as to how HMRC can improve its quarterly reporting requirement. Our submission to the House of Lords sub-committee on Finance Bill 2016. HMRC published a 'myth-buster' on MTD in 2016, its turned out to be about as reliable as a 'Trump 4am tweet'. This table busts the myths. The truth is out there. Responses to the six consultations. Quarterly reporting, simplifed three line reporting, re-think on penalties, cash accounting for landlords, some simplificaton for other businesses. Smart phone no longer mandatory. The House of Lords have made a call for evidence as to the benefits of MTD ahead of HMRC's publication of draft clauses in FB2017 on MTD. They are focusing on administration, clarifcation and simplification. The Treasury Committee is recommending that HMRC make radical changes their approach to Making Tax Digital (MTD), including delaying implementation, raising the exemption threshold, running a pilot the covers the full reporting cycle and waiting for the software market to catch up. Under MTD HMRC aims to join up its internal systems and so create one account for each taxpayer, for all their different taxes within HMRC. Via their 'digital account' taxpayers will be able to view all their payments, and offset overpayments in one tax against underpayments in others. MTD imposes new quarterly filing and potentially payment obligations for businesses and landlords. The first phase of MTD is for VAT. The second phase affects small unincorporated businesse and landlords. The third phase will affect companies, although not until at least 2020. A new late filing and payment penalty system will eventually apply to quarterly returns and annual declarations. Although HMRC claims that the annual tax return will go, businesses will still need to prepare year end accounts in order to reconcile their quarterly payments and claim various reliefs and make accounting adjustments. They will be required to file a year end declaration, instead of a Self Assessment (SA) return/ Corporation Tax (CT) return. The key difference between the year end declaration and a tax return, other than in name, appears to be that HMRC will pre-populate some of the return figures, e.g. bank interest, income from employment, pensions, etc. For the self employed, it is assumed that HMRC might attempt to pre-populate the year-end declaration with data submitted in the quarterly return figures. This is unlikely just yet, and so as is already the case with VAT, a businesses will still need to reconcile their quarterly returns to their year-end accounts and so all must reconcile to the end of year declaration. All taxpayers will need to check that pre-populated data is correct. HMRC is consulting on changing the way that tax assessments interact with accounting basis periods. Its systems may not cope if say 5 million taxpayers all pressing 'send' at once. It is also reviewing simplification of cash accounting for both businesses and landlords. Businesses that do not use smartphones, software or computers may be obliged to do so. HMRC will be providing free software. MTD is likely to be expensive for many micro and small businesses. Some 2 million businesses are not represented by agents and they will have to learn the new systems. Exemptions: To Be Announced, it is already indicated that some 1.3 nano businesses (turnover below £10k) will be exempt from the new regime. They may be brought into the regime later. HMRC expects that apps will 'prompt' taxpayers when they purchase goods and services so that taxpayers will learn the tax deduction rules on a day to day basis. HMRC expects taxpayers to obtain their guidance online and not via the telephone: it will be developing online resources to reduce human interation by telephone. 4) Seven consultations (the first one is a summary of the next six) ran until 7 November 2016.